Warrior Witch sits on her throne of swords! 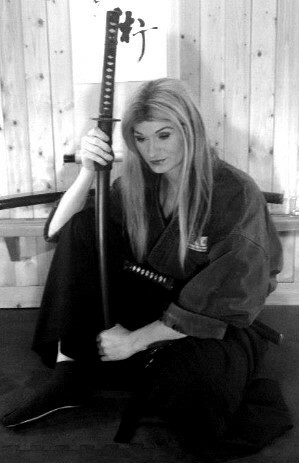 Are you interested in training in authentic ninjutsu and classical samurai bujutsu? This entry was posted on January 31, 2018 by Soke Anshu. It was filed under Uncategorized and was tagged with Anshu Christa Jacobson, Budo, budo ryu kai, budo ryu ninjutsu, Bujutsu, kansas city, Kansas City Ninjutsu, Ninja, ninja dojo, ninja training, Ninjutsu, ninjutsu dojo, ninjutsu training, Ninpo, Samurai, soke anshu, throne, Warrior Witch.